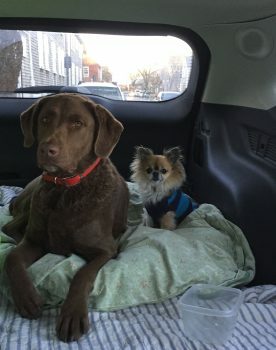 This is Cassie, a 6 year old Chesapeake Bay Retriever and Milo, a 4 year old long haired Chihuahua. They are best buddies and Milo actually thinks he’s a big dog too! Cassie always manages to find a mud puddle somewhere while out on a walk. They love to explore the Island with Lisa and are great traveling companions.